Late next month, the City of Arlington will unveil Esports Stadium Arlington, a state-of-the-art complex designed to draw competitive electronic game players and fans from around the world. The 100,000-square-foot venue, located at the site of Arlington Convention Center, will be the largest and most flexible esports stadium in the country. It is set to open its doors from Nov. 22-25, when the Season 6 Finals of FACEIT’s Esports Championship Series (ECS) is played here. Tickets will be available for audiences to attend the last two days of the Finals. Offensive (CS:GO) teams converge on the new Arlington attraction. 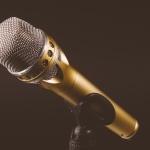 Some of you might be wondering, “huh?” about now, given that Esports are a relatively new form of competition and that they appeal to a predominantly younger crowd. 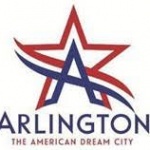 But when Arlington officials began pondering a way to convert the aging convention center into something more modern and appealing to visitors – they were excited about the prospect of creating something new for something new. In addition, they saw a potential new kind of visitor for the city. That trifecta – to use a conventional sports term – helped convert the courting process that began last year between the City and Esports Venues, LLC, into a marriage. 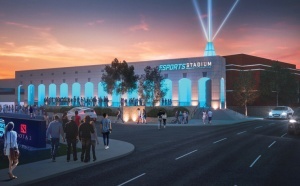 By collaborating with award-winning sports and entertainment architecture firm Populous, the City of Arlington and Esports Venues quickly began a $10 million renovation of the Arlington Convention Center to transform it into a stadium that offers the most immersive spectator experience in the live esports event market. City Manager Trey Yelverton says the venue will be ready for that first event, but that parts of the complex will still be under construction. Ultimately, he says, Esports Stadium Arlington will offer technology that shatters the norm – think of streaming on steroids – which will hold appeal not only to the techno-savvy game players and fans, but to other groups that might want to use the venue for meetings or conventions. Many of the players support their gaming endeavors by gathering followings on social media. “There’s a team called the Ninjas, who make about a half a million dollars a month from their Youtube channel,” Yelverton says. He and other city officials are betting on those followers following the players straight to Arlington.